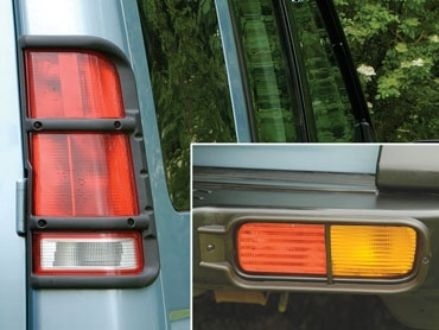 <br> Discovery 2 rear bumper and rear wing set lamp guards.<br> <br> Plastic lamp guards, suitable for protecting the rear lamps from damage when either, on-road or off-road. Discovery 2 rear bumper and rear wing set lamp guards. Plastic lamp guards, suitable for protecting the rear lamps from damage when either, on-road or off-road.